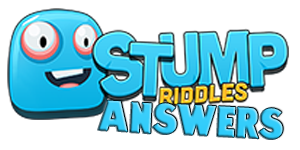 After downloading Stump Riddles, you begin the game on Level 1. Before you are a series of symbols, icons and letters. Your objective is to figure out the phrase, based on the typography and layout of the puzzle. Below the secret word section is your virtual rack that features a handful of letters. In order to advance to the next level, you need to successfully spell out the word. A wrong answer will allow you to use one of your boosts or try again.